The hardest part of getting a book published is the actual writing. All it takes to see this is the number of people who dream of publishing a book but never manage to hammer out a rough draft. I spent 20 years trying to write my first novel before I finally pulled it off. It’s not unusual for an aspiring writer to struggle for years and never produce a finished product to submit to agents or editors. Once the hard part is done and a draft is written, there are two basic routes a writer can take. Much ink has been spilled over the past few years about the rise of self-publishing—even though the route predates Mark Twain and Benjamin Franklin. To self-publish requires hiring cover artists, editors, and typesetters or learning to do these things on one’s own. The difficult task of emailing a cover artist to hire her services is often used to frighten authors away from self-publishing. That’s because there’s a myth that authors are lazy, and a myth that some authors merely write for a living. No such creature has ever existed. The alternative to self-publishing is to sign over your work to a traditional press. It sources the cover artist, editor, and typesetter for you. In exchange, it takes most of the income. This is sold as a fair deal, especially since it is said that publishers support authors while they write their novels by providing a livable advance. This is yet another myth: authors produce their first works while working another job; they are not given a year’s salary because they have an idea. What is being sold with these myths is the notion that the self-published author works extra hard beyond the writing, while all other writers simply craft their drafts and FedEx the results to agents in New York. Having published along both routes, I can attest that the amount of work either way is roughly equal. Learning to query agents took me longer than learning how to self-publish. Successful authors work their butts off either way. There is no such thing as a lazy successful author. With a publisher or not, the author will be expected to market themselves. They will do interviews and go on grueling book tours, or they will be asked to write blog posts, to read and blurb other books from the publisher, and so on. Both sets of authors will be expected to engage with their readers on Twitter and Facebook. They will do signings at bookstores, or they will sit at craft fairs. The ones who eke out even a part-time living will outwork their colleagues who don’t. Forty hours of writing on top of a full-time job and caring for a family is the norm. The real difference between self-publishing and signing with a traditional publisher comes down not to the amount of work involved, or the risk incurred, but to the amount of confidence an author has in her work. There is enormous risk either way. Copious amounts of time can be spent writing a novel and submitting it to agents, only to see the draft die in a drawer, never to sell a single copy. The same risk is taken when self-publishing, except that you know your mom will buy one copy. No, the real difference is whether or not a writer wants to punch a clock or strike out on her own. Self-publishing is the difference between owning and renting. If it seems like self-published authors work harder than other authors, this is merely a function of the reward mechanisms of ownership, rather than the rigors required of one path over the other. Owners of small businesses understand this. Rather than clock out at the end of their shift, they know that if they put in more time, the rewards will stay with them and their family. Anyone who has owned a home understands the allure and thrill of sweat equity. It’s not work when it’s for yourself. Renters are happy to do as little as possible to get by. Why pour sweat into someone else’s bucket? There is no such thing as a lazy author. To have finished the work, all authors have taken the most grueling of steps. What comes after is not a question of what is required of them for success along their path, but what is compelled by the psychological rewards of ownership over non-ownership. We shouldn’t confuse the gleeful impetus to knuckle down as anything other than pride. That writer who strikes out on her own knows she might fail, but she knows that she might lose her old job anyway. And, if she goes down, she’s going to go down swinging—her way. 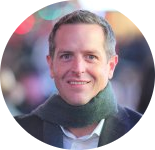 Hugh Howey’s website and his Amazon author page.